No-one really likes Joy Division’s third album Still, do they? It’s never listed as a favourite, and often panned as a botch-job which probably shouldn’t have been released, as though somehow it’s very existence sullies the purity of the other two records. 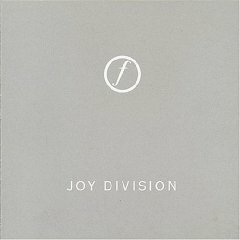 I returned to it recently to see if there was anything there worth including on a Joy Division / New Order compilation I’m making for a friend, and while I was there, I tried to put my finger on exactly what the problems are. And there are three pretty big problems. Curtis sounds bored. Don’t argue, he does. Hannett’s production. What was beautiful on Unknown Pleasures and challenging in Closer is downright annoying on Still. It’s almost as though Hannett was bored by the songs and tried to use trickery to turn them into something they’re not. The song selection. And this is really they key thing. Most of those songs on Still are old ones. I do not believe Curtis had written anything new. – They Walked in Line and Ice Age are both on the unreleased Warsaw album from 1978 and probably date from 1977 or earlier. – Exercise One and The Sound of Music are both on the 1979 Peel Sessions. – Glass, Dead Souls, The Only Mistake and Something Must Break all exist on studio recordings from earlier in 1979 made during demo sessions in various places (and recently released as disc 3 of Heart and Soul). Basically, this leaves most of Still looking a lot like a bunch of filler tracks that weren’t good enough to make it onto the first two records, and which the band only recorded because they didn’t have any good new songs. ‘The Kill’ is the main exception. It’s a good song, and it’s going on my compilation. I do wish I could go back in time and turn up the vocals up while Hannett wasn’t looking, though. Also: just for the sake of comparison, listen to the different versions of Ice age and They Walked in Line from Warsaw and Still . The earlier versions are just much better. The funny thing is, I was listening to the live version of ‘Ceremony’ from disc 2 on youtube before I checked out your page (for the first time in ages) tonight. I love that version. ‘Sister Ray’ also has a certain charm. We should get together soon. Call us.